Depuy Orthopedics, a division of Johnson and Johnson, has issued a WORLDWIDE RECALL of its “metal-on-metal” ASR XL Acetabular System for Total Hip Replacement. The hip recall came after a determination that the these Hip Implants fail at an alarming rate. 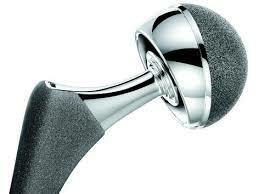 These “metal-on-metal” DePuy hip replacements can shed particles into the patient causing serious, painful reactions, often leading to further surgery. If you or a loved one have received a recall letter or have had a hip replacement and are having medical issues, please contact us for a free, no-obligation consultation to determine whether you have a claim for financial compensation.